Barça Lassa are defeated at the Buesa Arena by Baskonia (85-82) in a crazy game. The blaugranas were 25-points behind in the third quarter and they were able to change the course of the game with 17 unanswered points in the final quarter. However, their bad luck in attack at the death meant they were unable to secure a heroic comeback victory. The first quarter started equally with both teams attacking at speed and neither were able to build a lead with the opening ten minutes finishing 22-17. The second quarter was when the home side pulled away due to their accuracy in both attack and defence and the blaugranas’ wastefulness. Baskonia opened up a real lead on the scoreboard with a succession of three-pointers with Shengelia particularly prominent with an impressive 20 points before the break. Barça Lassa went into the break 17 points behind at 52-35. Following the restart, Barça Lassa tried to respond but the Basque team didn’t take their foot of the gas and they were up to 25 points ahead during the third quarter (70-45). However, Sito Alonso and his team didn’t give up and they managed to cut the advantage back down to 17 with two Pau Ribas three-pointers making a difference (74-57). The blaugranas sensed an unlikely comeback and they gave it their all right from the start of the fourth quarter. Ribas and Navarro were hurting the home side with their three-pointers, they ended the game with three between them. Barça Lassa started closing the game with a spectacular 17 unanswered points in the opening five minutes of the quarter. It meant Sito Alonso’s team had levelled the scores at 74-74 with a Hanga basket. The home side responded with five points of their own but Barça Lassa came back at them with a three-pointer each from Ribas and Navarro to take the lead with 46 seconds to go (81-82). 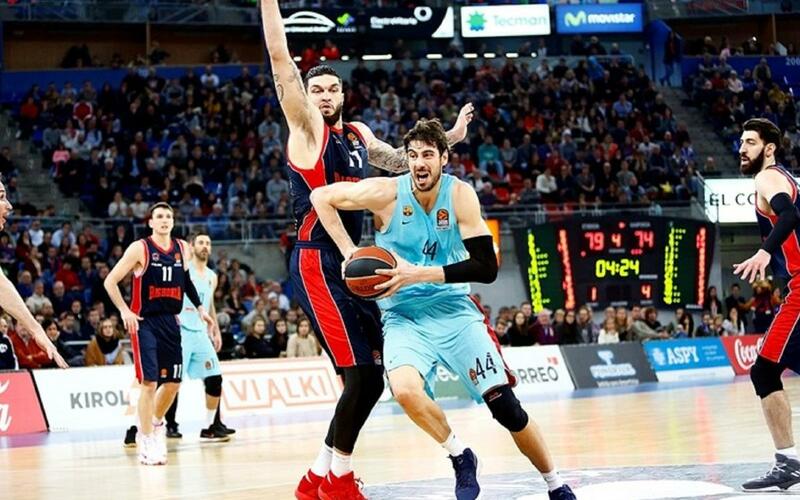 However, the blaugranas were unlucky in the dying seconds as two free shots from Shengelia and two more points from Marcelinho meant Baskonia clinched the win at the death (85-82). Barça Lassa’s end to the game was stirring and they fought until the final second even though eventually they came up just short of an incredible comeback in the second to last game of the first round of Euroleague fixtures.